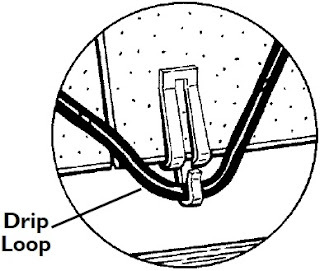 Creating a complete water runoff pathway with The Drip Loop (at the bottom of each triangle of roof and gutter heat cable) - Mor Electric Heating's Blog about home, office & factory comfort heat & freeze protection for pipes & roofs. Ice Dams on roofs caused by snow melting and refreezing is becoming much more common. We see alot of incorrectly installed cable and the mistake we see the most is not creating a drip loop. 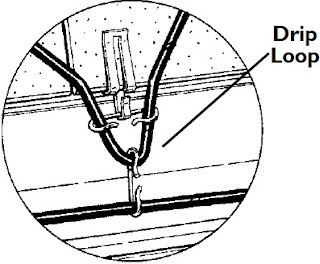 Roof and gutter heating wire should always work to handle any type of weather if it is selected and installed correctly. The owners manuals are very detailed and specific on all the cables we sell. They must be read and followed very closely, otherwise the cable may not help and could even make the problem worse. The picture above shows an installation with gutters. 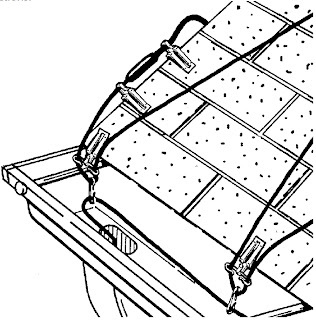 At bottoms of triangles along the edge of the roof, form a “drip loop” over roof edge to direct melt water into the gutter or to the ground (when there are no gutters). There should be a minimum of 2 inches between the bottom of the drip loop and the bottom of the gutter. 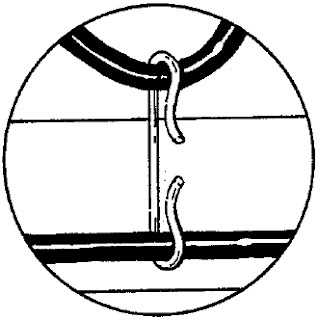 Attaching clips to shingles at edge of roof without gutters. If the cables do not overhang the roof edge there will be large icicles below each spot where the cable triangle point is. 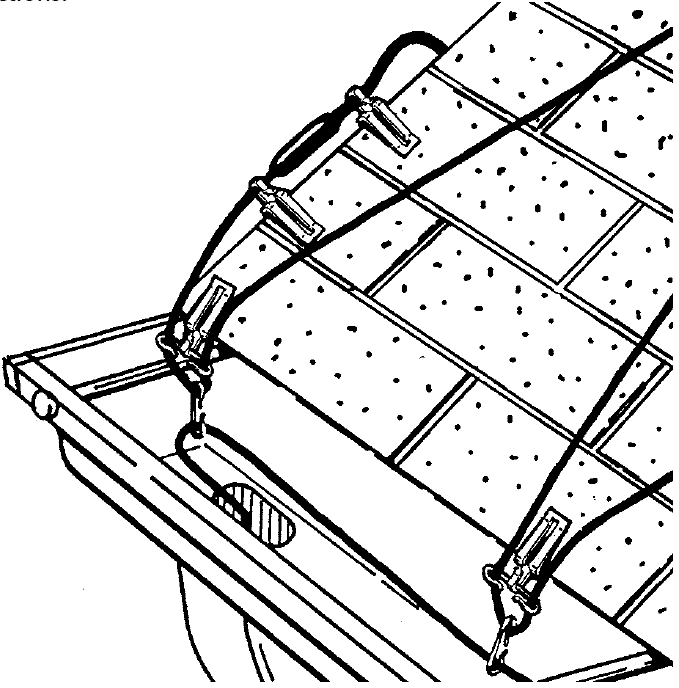 On a roof with gutters, the clip conducts heat, gets hot and completes the pathway for water to run through. Many meteorologists are predicting many winters to come that are much snowier than normal, similar or worse than the 1970’s. This brutal winter we are in has far surpassed any guess and certainly the ice dams are so huge that even we are shocked! You can start researching Roof Heat Trace at www.heatersplus.com/roofs.htm and we are here to help you when you call 1-800-442-2581. Most of our customers use the least expensive EasyHeat ADKS, Danfoss RX or Wrap-On. The better EasyHeat PSR, NuHeat 13mm are an excellent commercial grade cable that is self-regulating (uses far less electricity). They do require that each clip be nailed or screwed through shingles/roof (with glue/sealant) underneath the shingle directly above it (lift up the shingle above and attach the clip). But if you are looking for a cable that will last for many, many years or decades it is worth considering. The new Danfoss Ice Guard (shipping beginning later this month) is similar to the EasyHeat PSR and NuHeat 13mm but it has a larger shingle piercing clip available so you do not have to screw or nail through the roof.